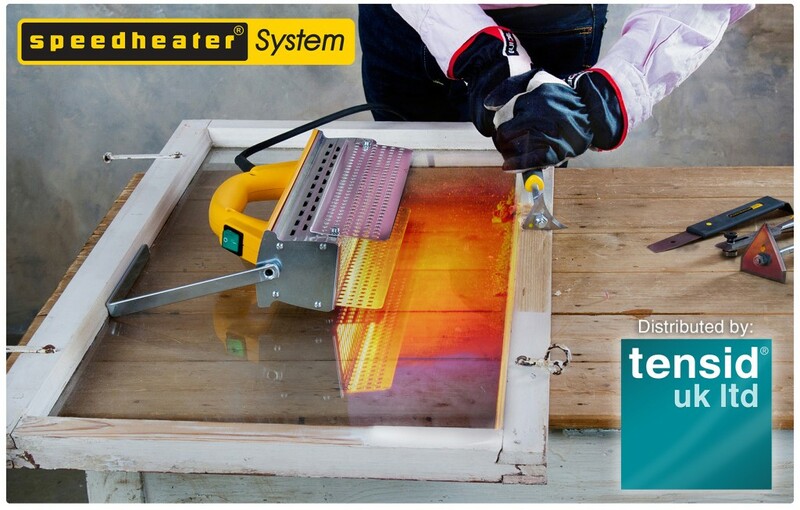 Speedheater Infrared Paintstripping system uses advanced infrared technology packaged into a well-designed and easy to use tool that quickly lifts paint from surfaces for easy scraping. No chemicals are needed. The Speedheater is safe for use on lead-based paint and around glass, when used correctly. This is an unbeatable method for paint, putty, and varnish removal. Whether you need to restore an entire building, or just a chair, Speedheater System is a highly effective method of paint removal. Plus, it’s simple to use. While you are scraping paint from one area, the Speedheater Infrared paint remover is preparing the next work zone, thereby creating a very efficient work flow. The Speedheater IR system comes with equipment that enables you to position the Speedheater over any horizontal or vertical surface. Basic support stand for horizontal surfaces comes with the standard kit. The Speedheater Arm suspension system is also available through Tensid UK Ltd.
Watch this video to see the Speedheater IR System in action! Please call us today for more information 01932 564 133 or complete the contact form for a fast response by email. SH 1100 RS – slimmer model. Size of working face: 36cm x 7.5cm. Weight approx 1.8 kilos. SH 1100 S – standard width model. Size of working face: 36CM x 13cm. Weight approx 2 kilos. Infrared-emitting tubes used in Speedheater each have an expected life of 5,000 hours with normal use. Tensid supplies replacement tubes in pairs. It is recommended to replace both tubes at the same time for best results. Product Safety information available upon request.